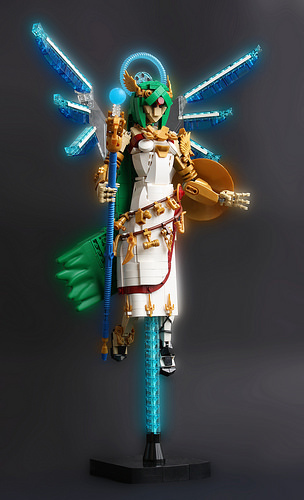 Eero Okkonen showcases his excellence in LEGO character building once again with his build of the goddess Palutena of the Kid Icarus and Super Smash Bros series. Eero first constructed Palutena back in 2015 but his new version is quite a beautiful improvement on a great build. The flow to her green hair and variety of gold embellishments are eye-catching.